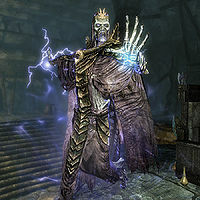 Warlord Gathrik is the end boss of the Nordic ruin Ironbind Barrow. 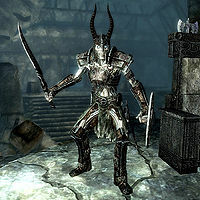 Depending on level, he is either a draugr or a dragon priest. This page was last modified on 20 December 2012, at 11:29.